The foreign minister, Anders Samuelsen, is appalled at recent reports regarding the persecution of the LGBT (Lesbian, Gay, Bisexual and Transgender) community in the republic of Chechnya, a federal subject of Russia. According to the Russian media outlet Novaya Gazeta, members of the gay community are being systematically rounded up by the authorities and brought to buildings that have been compared to modern day concentration camps, where they are beaten, tortured and even murdered. “As many others, I am horrified by the recent reports of the persecution, torture and slaughter of gay people in Chechnya,” said Samuelsen. Samuelsen went on to contend that Russia has an international responsibility to protect all of its citizens. The foreign minister pledged to take the issue up with the OSCE, UN and European Council. The Foreign Ministry will follow the developments as closely as they can from the Danish Embassy in Moscow. 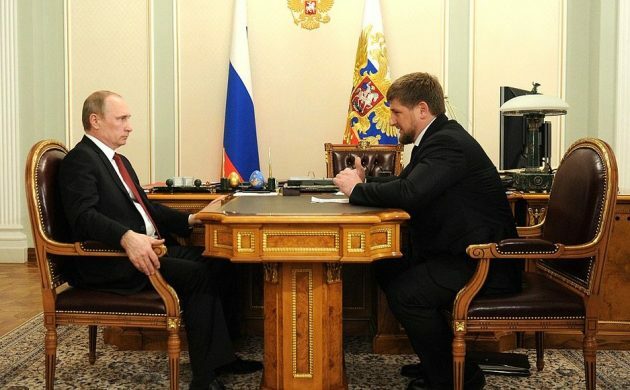 Chechnya’s leader, Ramzan Kadyrov, has not only refuted the existence of the camps, but has denied there are any gay people in the territory – which has a majority Islamic population.